Yes, we arrived home safely with the new RV. Lots of work to do to it to get it ready for the coming winter travels. 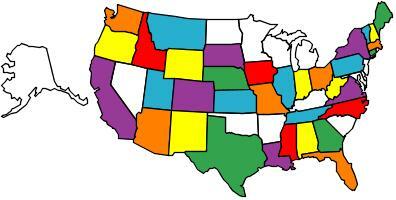 The colorful map shows the states that we have visited in our recent travels. We only missed a few.